Bigger compartments for more seedling or "big" seedling capacity! 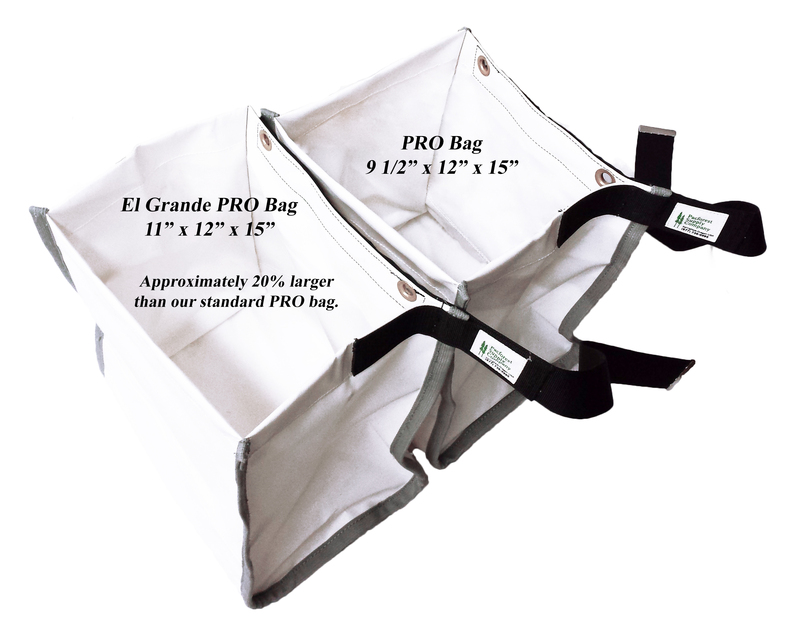 The "El Grande PRO" has all the features of our regular PRO bag but with larger compartments. • Each compartment measures 11" x 12" x 15" deep. • Double bottom and double inside panels against the leg to take additional abrasion. 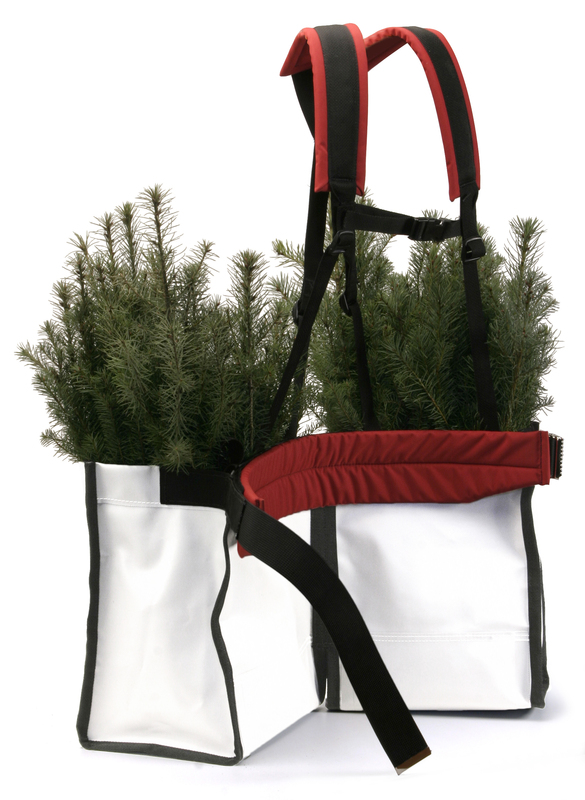 Since the mid 1980's the PRO bag concept has become a standard and is one of the most comfortable production tree planting bags you can buy. • Two deep split compartments of 28 oz. tear and abrasion resistant white vinyl. • Velcro attached, full waist pad. • Adjustable padded harness system with 4 heavy duty snaps to secure the harness to the bag. Cross strap to keep the harness from slipping off the shoulders. • Double bottoms, covered seams and extra reinforced stitching at all historic stress points.